Extra-large and extra versatile, Studio H easily transforms from a rehearsal space, to an elegant setting for an event, to a 116-seat black box theater. Studio H features a lighting grid and full theatrical production capabilities. Use of shoes prohibited. 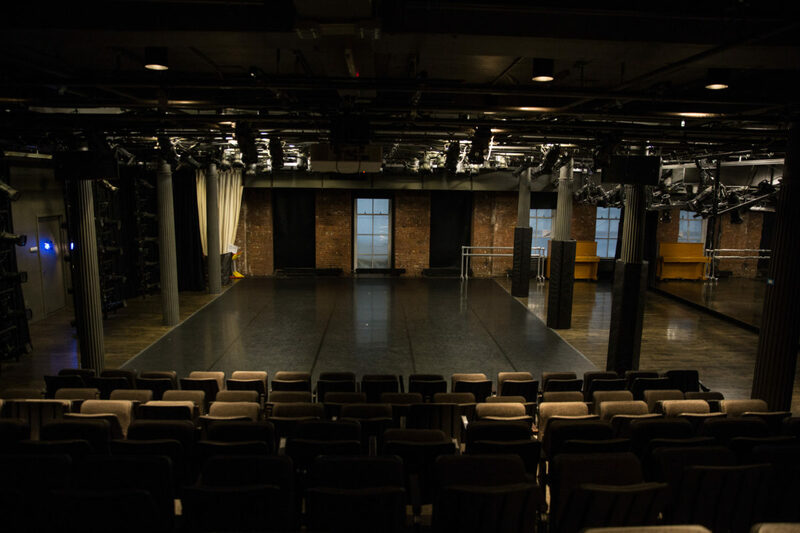 Studio showings, open rehearsals, or performance rentals through Gibney’s Performance Opportunity Project. 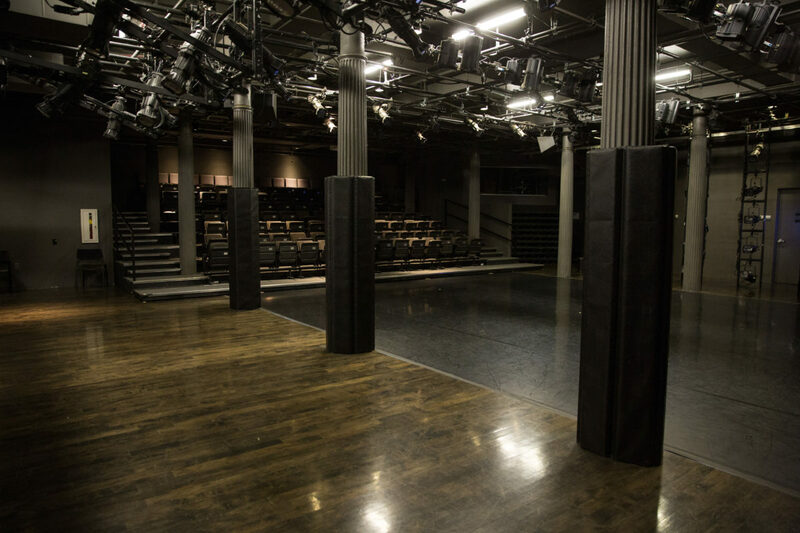 Studio H, also known as The Theater, is Gibney’s largest production space with 116 seats. Since 2014, numerous artists have been produced in this space through Gibney’s various presentation platforms, including Gibney Dance Company, the annual DoublePlus series, Maria Bauman/MBDance, Anne Nguyen, and more.